Sorry for the late post; I've been so busy that I was only able to finish this today. Anyway, Cosplay Mania has always been my most anticipated cosplay events every year because something new is always given to its audience. Ever since I first attended it last 2011, there is a main highlight every time we attend. 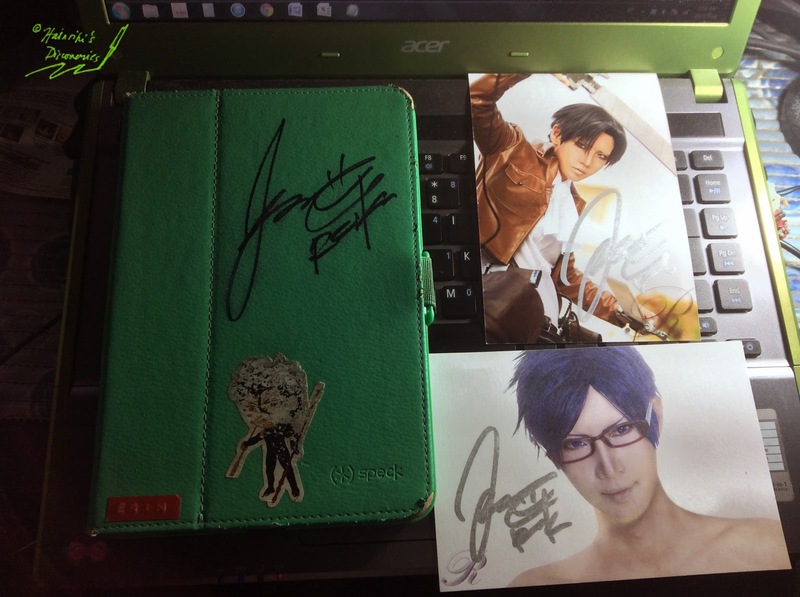 For this year’s Cosplay Mania, one of my main highlights is attending Reika’s Meet-and-Greet. 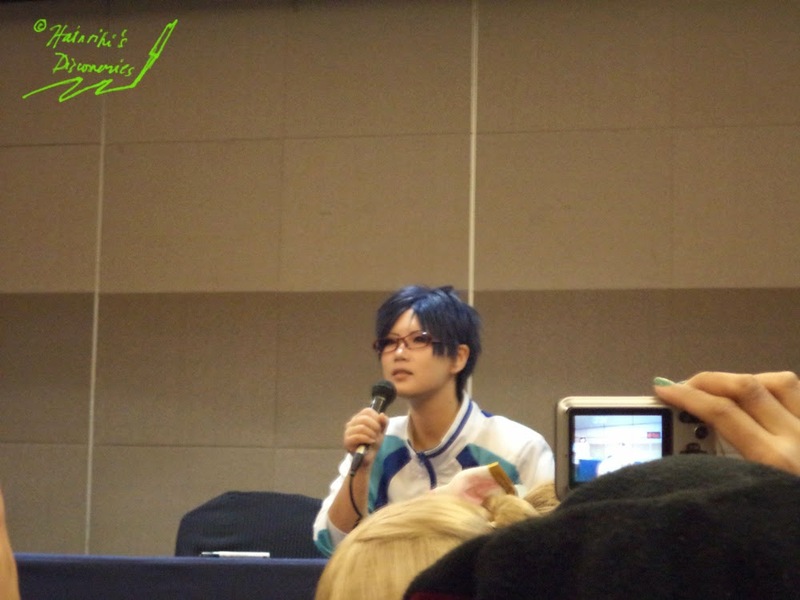 Reika is a Japanese cosplayer known for portraying/cosplaying male characters. Yup, you guessed it---she’s a crossplayer. Reika is one of my cosplay inspirations/idols, so I think you shouldn’t be surprised why I want to see and meet her in person. 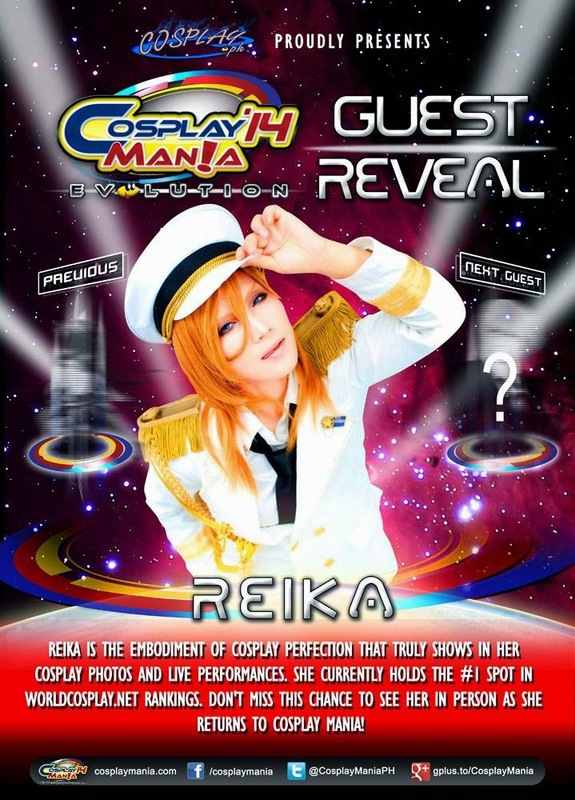 Reika is one of the anticipated international cosplayers in Cosplay Mania 2014 and we already predicted it would get sold out easily. 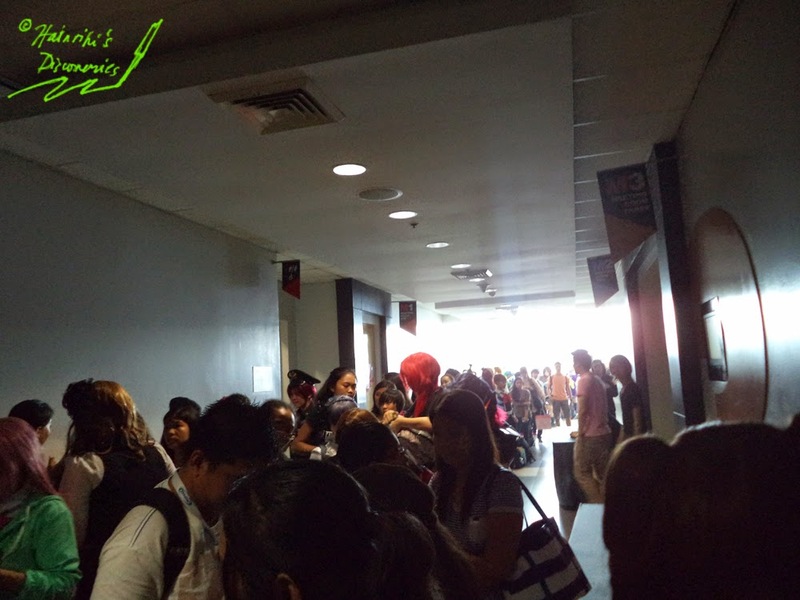 My friends lined up in SM North on July 26 before 3pm---the said time when they will start selling. I was already late for the meet up, so I was glad my friends were there. 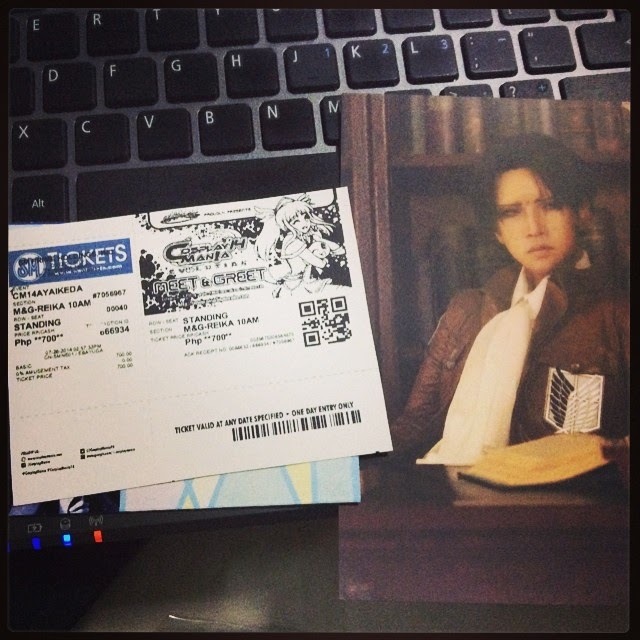 My friends and I were very excited because we will finally be able to see one of our cosplay idols/inspirations. 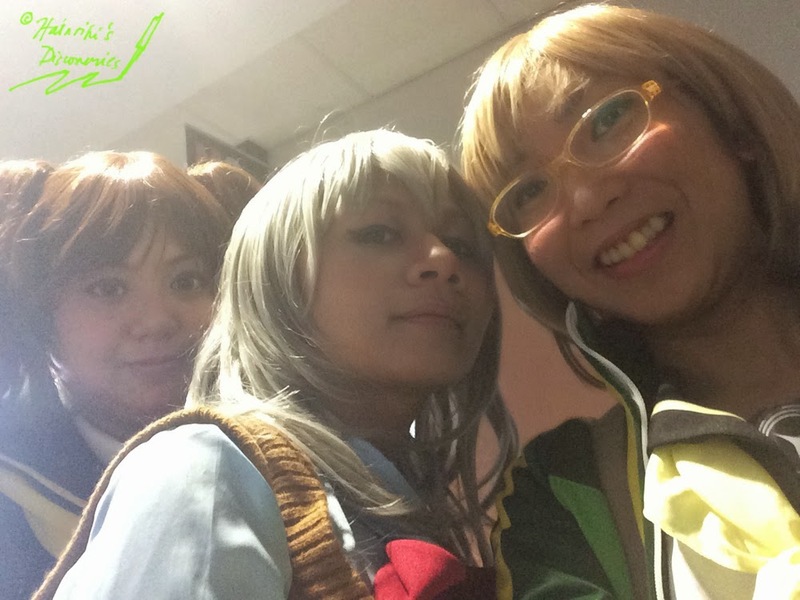 Cosplay Mania is very strict with the meet-and-greet schedule, based on their house rules, so we woke up very early and decided to be there before 10:00 a.m. We arrived around past 9:30 a.m. and there was already a long line. 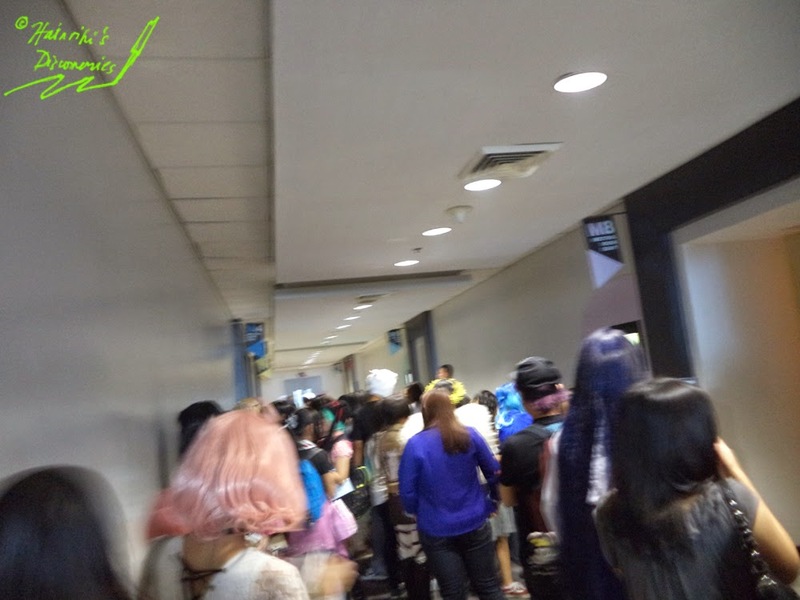 Past 10:00 a.m. - Cosplay.ph ushers/organizers told us to line up properly and started giving designated stubs for our seats and merchandise. 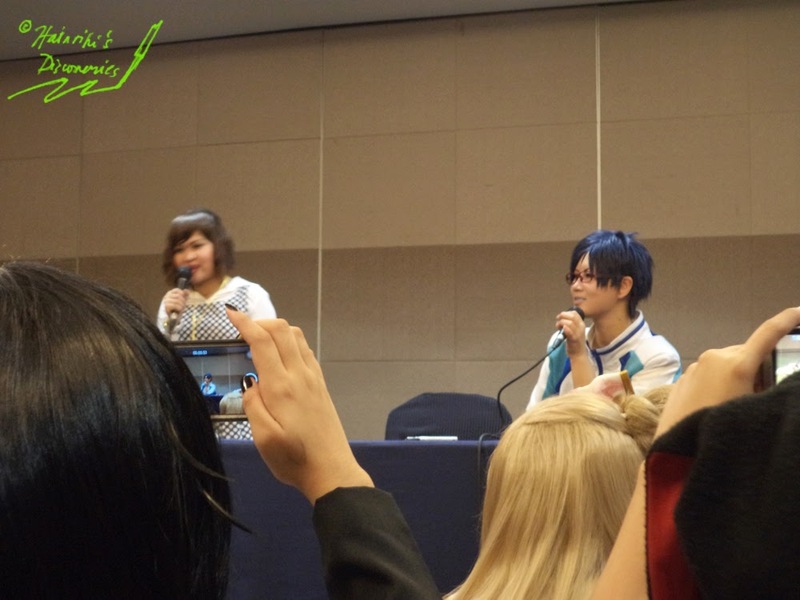 After lining up, buying the merchandise, and waiting for Reika for more than 1 ½ hour, the Meet-and-Greet Program began. Warning: This part will be full of photos. Just scroll down to see them all. 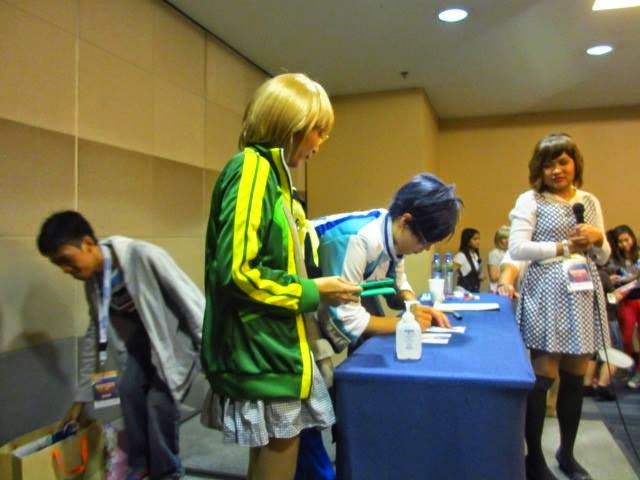 - Asking about her health, since she travels to a lot of cosplay conventions in different countries. 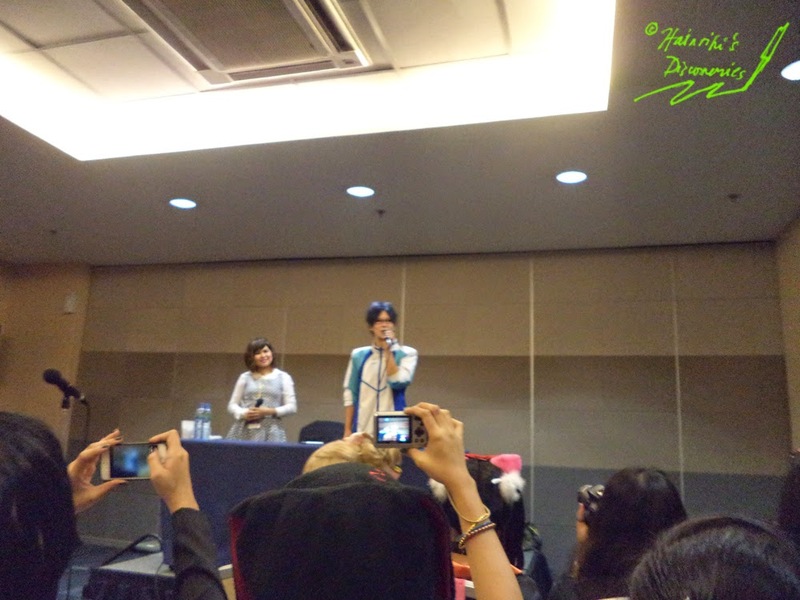 (At the that time, she told us that she’ll be going to Australia after the Philippines. As of this writing, she is now in Shanghai, China. 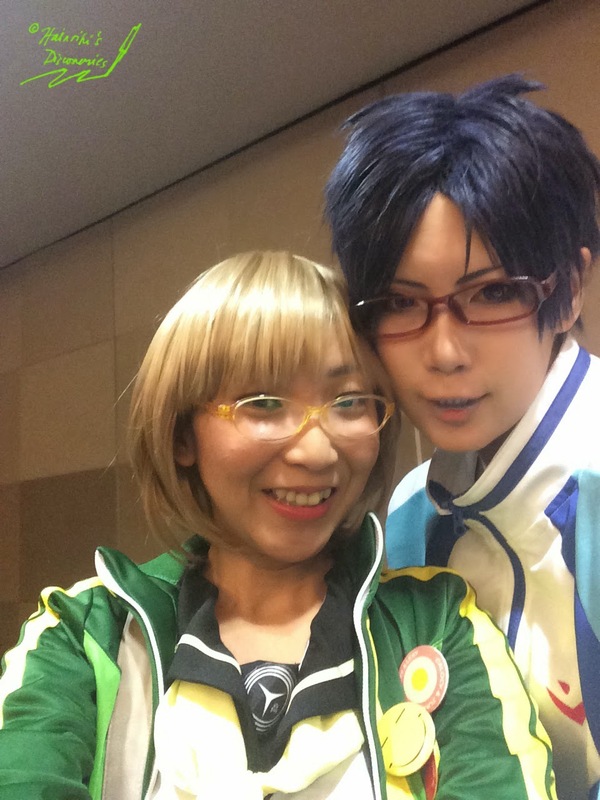 - Why she cosplayed Free! The one asking thought that Free! wasn’t Reika's type. I can’t remember her full answer, but I remembered she said that once she likes a scene or story of an episode, she would like the whole series. Oh my God, I am so disappointed with myself---that’s all I remembered! Hahaha! 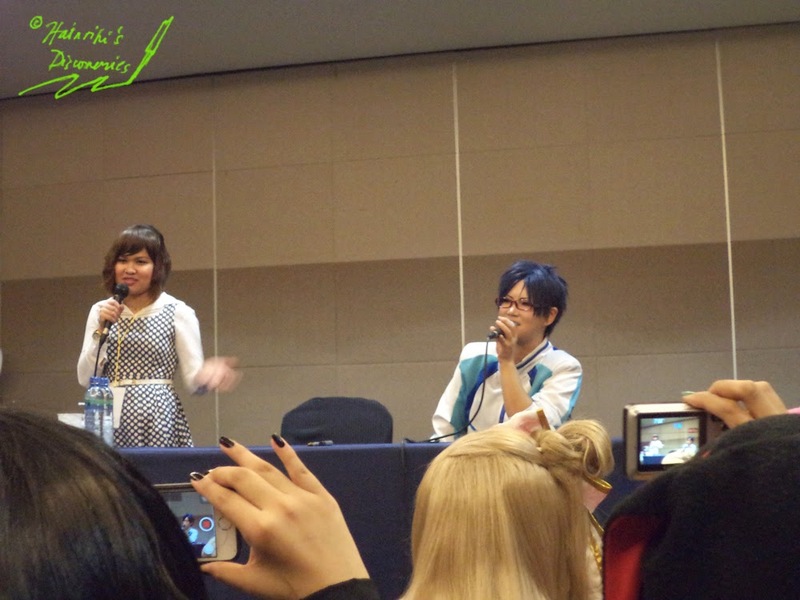 I think I was so starstruck by Reika that even if I was listening, I was busy taking pictures and fangirling over her :)) But the Q&A was just short and we proceeded to the main program. This is my favorite part, thanks to some positive changes. 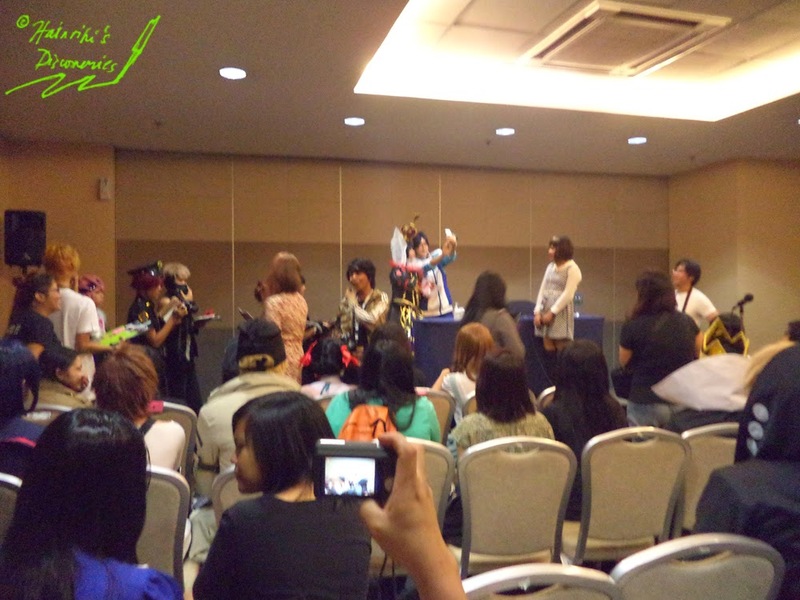 Cosplay.ph imposed strict rules, maybe to adhere to the tight schedule and culture of the guests. 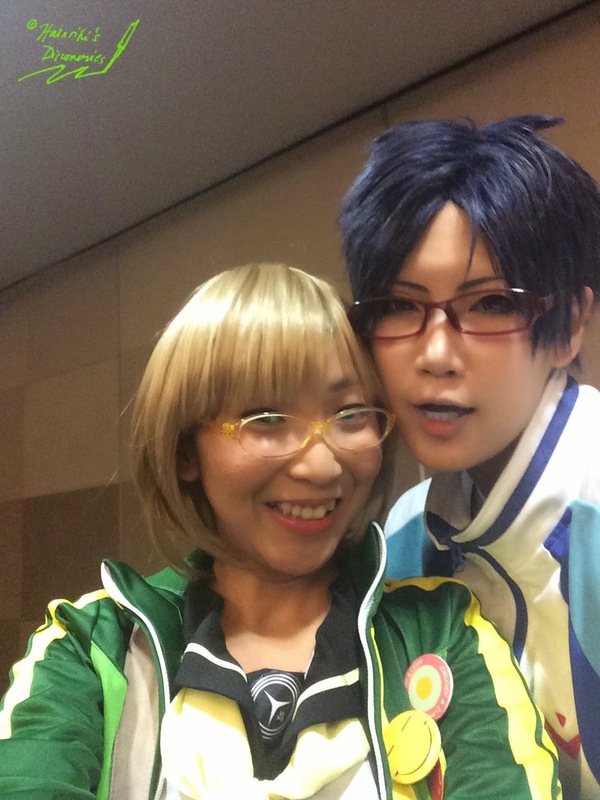 We expected that, but it became totally different with Reika---in a good way! 1. She will autograph the two items we purchased, PLUS anything that we have (jacket, t-shirt, paper, drawing, tablet cover, anything that we can think of). 2. 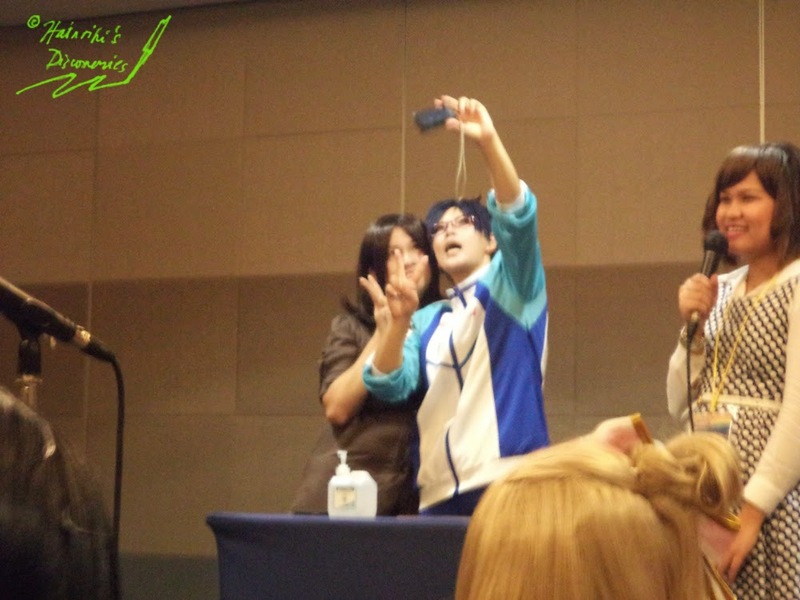 We have the option to either: take a selfie with her or have someone take a picture of you with Reika. Anyway, I’ll let the pictures tell everything. 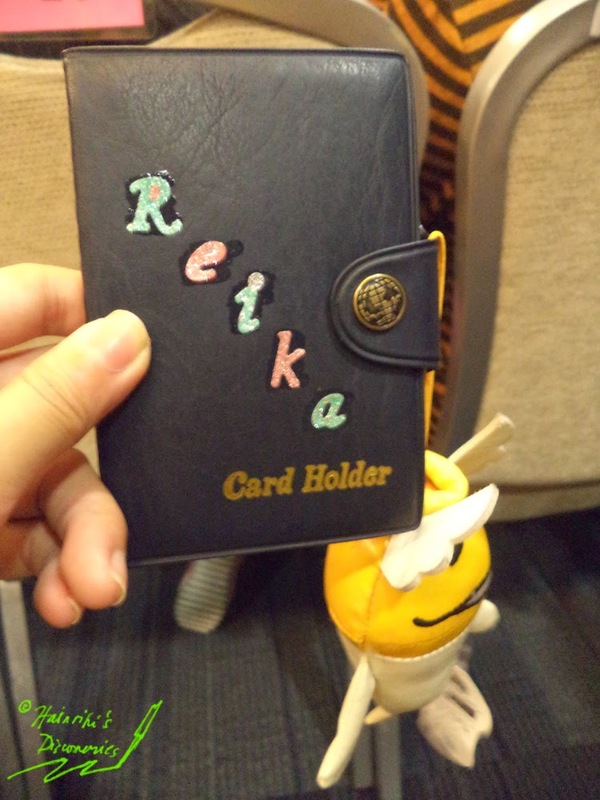 Our gift to Reika, which is a card holder containing our cosplay cards. Since it was a rule, we gave this to the Cosplay.ph peeps. 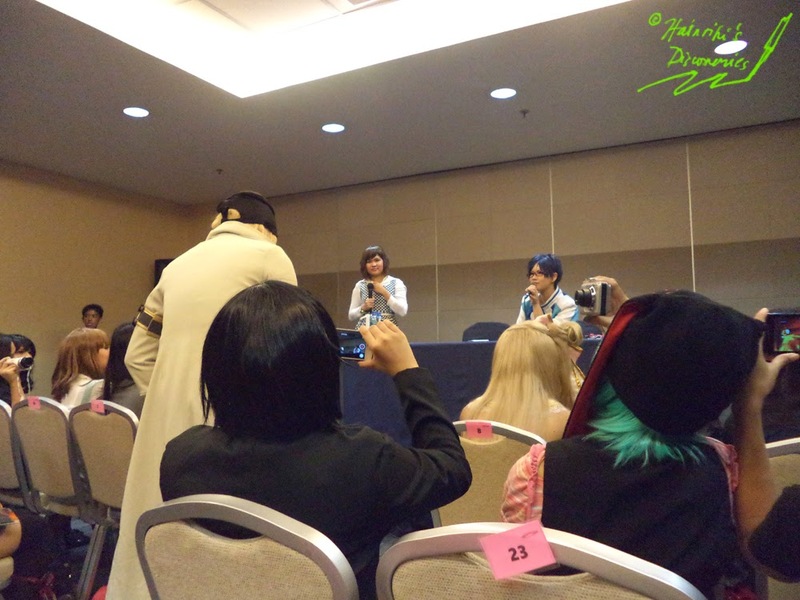 First, everything was very organized---from lining up to Reika’s exit from the meeting room (or maybe us fangirls were behaved XD, LOL). 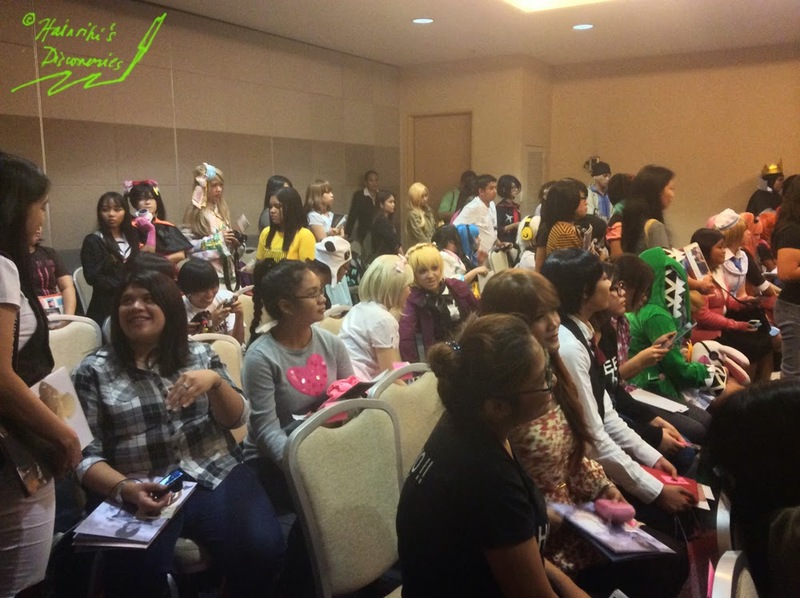 But kidding aside, this is one of the most organized cosplay events that I have seen. 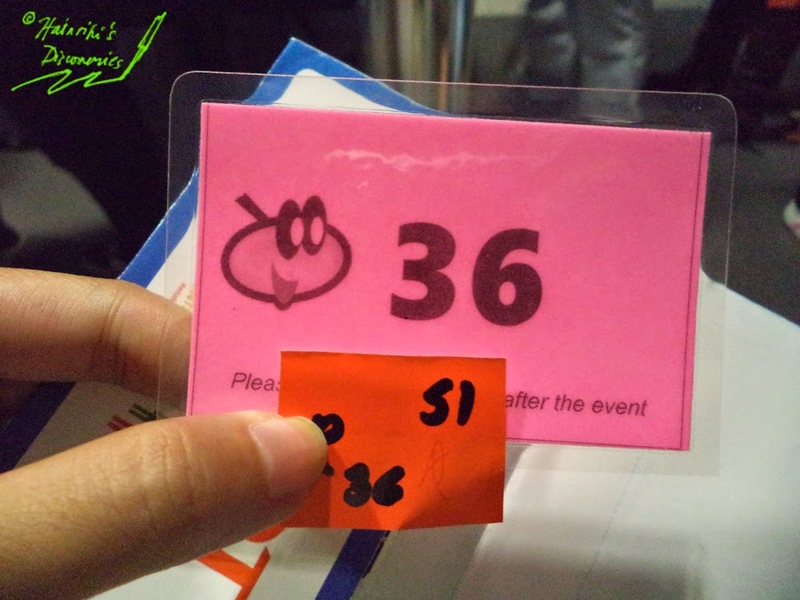 It’s nice that they gave stubs for the merchandise-buying and seating arrangement to make everything orderly. 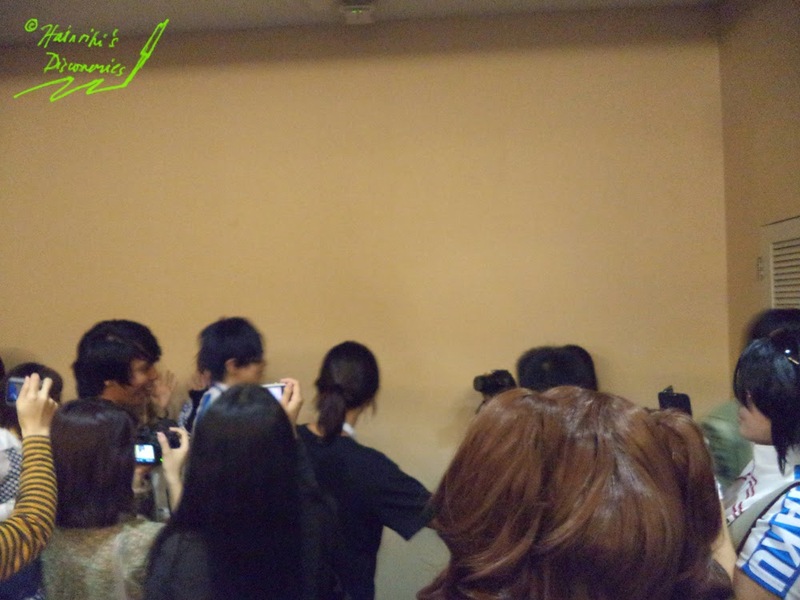 And even when there were those standing at the back, everything was still organized. 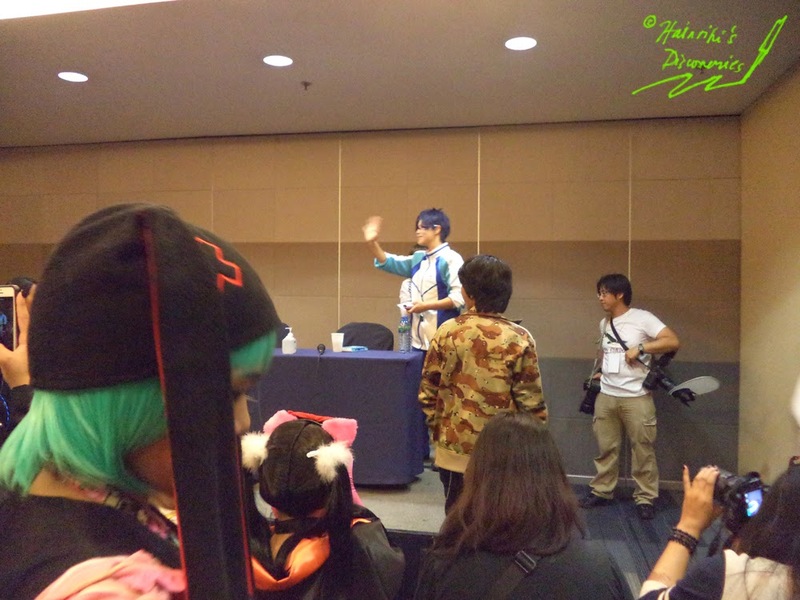 The Cosplay.ph staff and Reika’s translator never failed to remind everyone about the rules, where to go, and what to do in lining up for the autograph signing and picture-taking. Plus, it helped that most of us followed them. 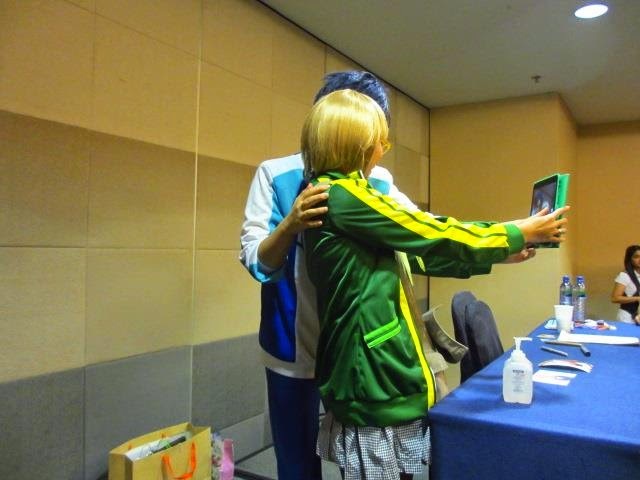 Second, I’m happy to know that Reika is such an accommodating and down-to-earth person. We were around 100 attendees and everyone had the opportunity to get an autograph, take a picture with her, and get to know her more. Before this, I only knew her from her Facebook page and cosplay news. Now, I finally witnessed her awesomeness in person and saw how accommodating she truly is. She signed more than three things and was willing to take a selfie with each of us if we wanted to. There is more to her than what people know, and I'm glad I was able to see how wonderful she is in person.